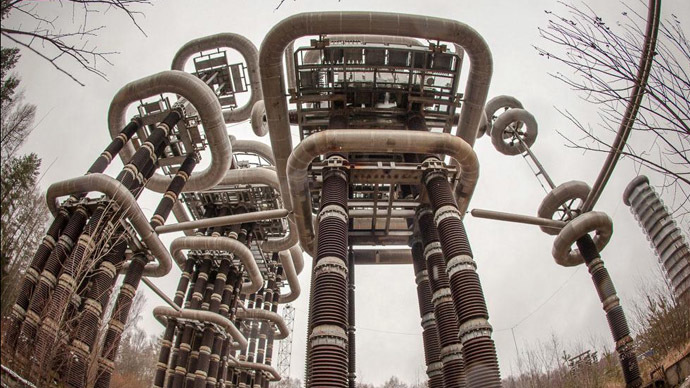 Russian cities that want to develop their public transit systems will soon have a stellar option to buy. A sleek new black streetcar looks like something Darth Vader would pilot in Star Wars and promises new levels of comfort and safety to commuters. The R1, or Russia One, was developed by a subsidiary of Uralvagonzavod, a company best known for producing advanced Russian tanks. 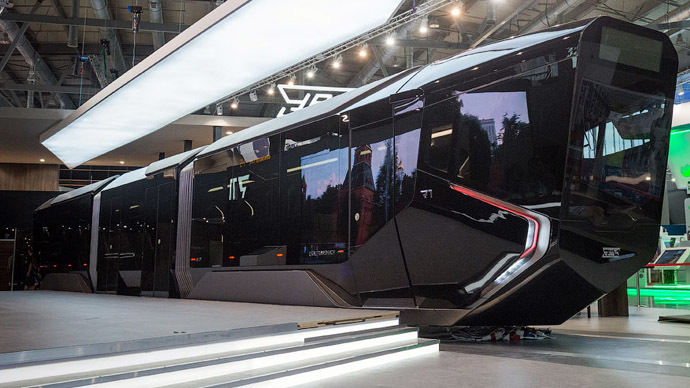 The prototype streetcar, or tram, is to be revealed to the public on Wednesday at the Innoprom-2014 tech expo, but the producer offered a sneak peak to Russian bloggers one day ahead. The interior is meant to be both comfortable and durable. The designers sacrificed the number of seats, leaving only 28 per car, for making those seats cozy and giving more space to standing passengers. 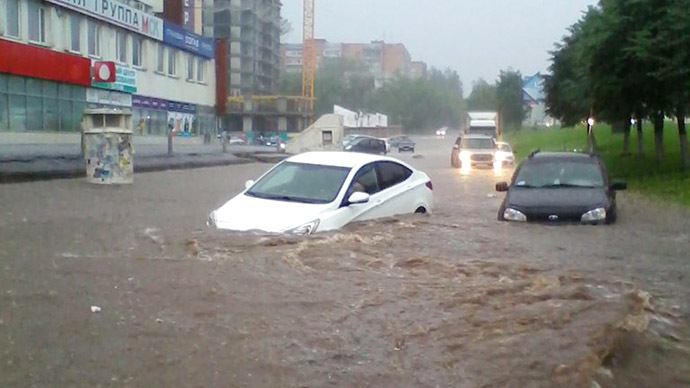 Several features will help using R1 in some of the harsher climatic regions of Russia. Grooved aluminum stepping boards will have built-in electric heaters utilizing energy recuperated during breaking to prevent icing in wintertime. The outer glass panels have special fitting for swift replacement. Electric batteries allow a tram cut from power lines to travel a further 50km autonomously. Blogger Ivan Solomin, who is a tram driver himself and was among those invited to test the prototype, has doubts about rear-view cameras that substitute side mirrors at R1. He believes they may not give an adequate rear view to the driver, lacking proper depth perception. But he also praised the driver cabin windows for giving a good direct view – about 10 to 15 percent better than tram models currently used in Russia, he assessed. 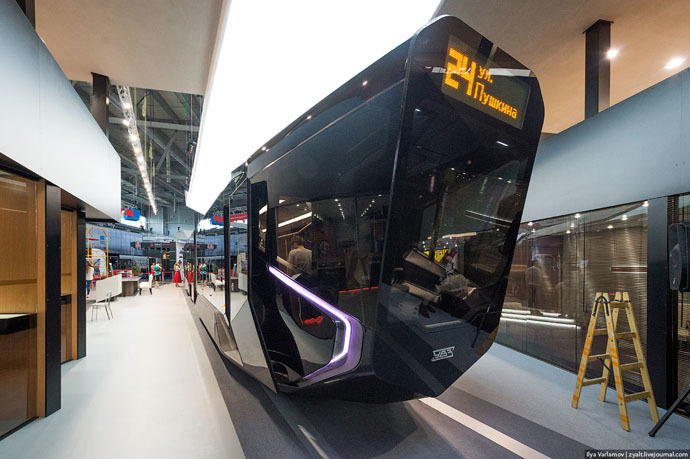 The producer estimates that the series version of the tram will cost around 1 million euro and will have few changes compared to the prototype on display. A pilot project to introduce R1 to Russian streets will be launched in Ekaterinburg, Urals Region. The tram is promised to roll out en mass by 2017, when Russia is to host FIFA World Cup.